Frame It Up is Close To My Heart’s special for January. This lovely frame project is to celebrate National Papercrafting Month. The new papercrafted décor frame only available in January. There are so many different ways to use this versatile frame that you are sure to want more than one. While I have not had the chance to make my own frame yet, I have saved plenty of ideas of options in my Linda Creates Special Peeps group (customers only please). Which is precisely why we are offering special pricing when you buy two or more! Save 15% on each kit when you buy two, or save 30% when you buy three or more! 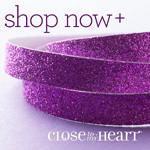 You can get a FREE frame kit by signing up as a Close To My Heart Consultant or hosting a qualifying party this month! Check out this amazing consultant kit you receive for $75.00. Plus you get a $50 CTMH Cash credit to purchase your own supplies so your kit is tailored for you specifically! Thank you all so much for stopping by. Be sure to check out my Facebook lives on my Facebook Page about various projects. Don’t forget about the Happy Mail Club. When you order $25 of product or more from my website, you’ll start getting Happy Mail. Happy Mail is a package full of fun goodies to thank you for your loyalty in supporting my business!